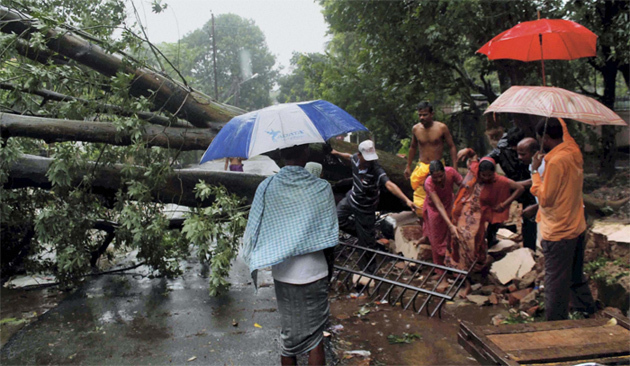 Cyclone Phailin hits close to home. You are here: Home / News / Cyclone Phailin hits close to home. A few weeks ago the super storm Cyclone Phailin hit the eastern coast of India. Demolishing everything in it’s path, and causing casualties, and heartbreak. The storm hit the areas that ancer does most of its relief work. Many people in the communities we work in have lost their houses due to the flooding, strong winds, and destruction around the area. We are taking an initiative to provide aid to as many people we can. We want to be able to help the victims of this storm. Providing them with food, medical aid, and housing. If you would like to help us, please visit : http://www.gofundme.com/Relief-4-Phailin-Victims to find out more.